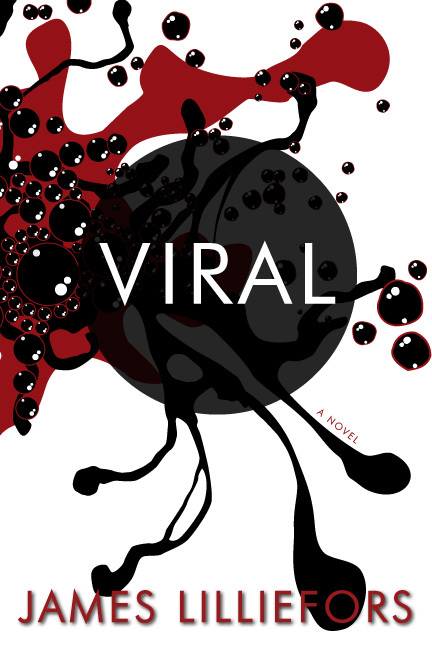 Viral, by James Lilliefors. Soho Press. 353 pages. $25.00. This elegantly complex thriller is devastating in its premise and astonishing in its meticulous plotting. James Lilliefors asks us to imagine something almost inconceivable: altruistic biological genocide. A multi-billion dollar scheme is afoot to “depopulate” failed African nations, obtain land rights, and construct technological meccas – models of economic and social stability. It’s a scheme at once horrifying and brilliant, designed to anticipate and squelch any challenge to its success. Of course, it is cloaked in secrecy. And maybe it’s not so altruistic after all. The means involve the controlled release of a fast-acting virus in selected population centers, and the overnight burial of the millions of deceased. There would be little to witness. The planners have thought through how to manage the damage control for the severe flu-like epidemic that comes and goes in hours. Brilliant planners, with almost unlimited resources and unparalleled surveillance systems, scheme to limit the information that reaches the public about what they’re up to. 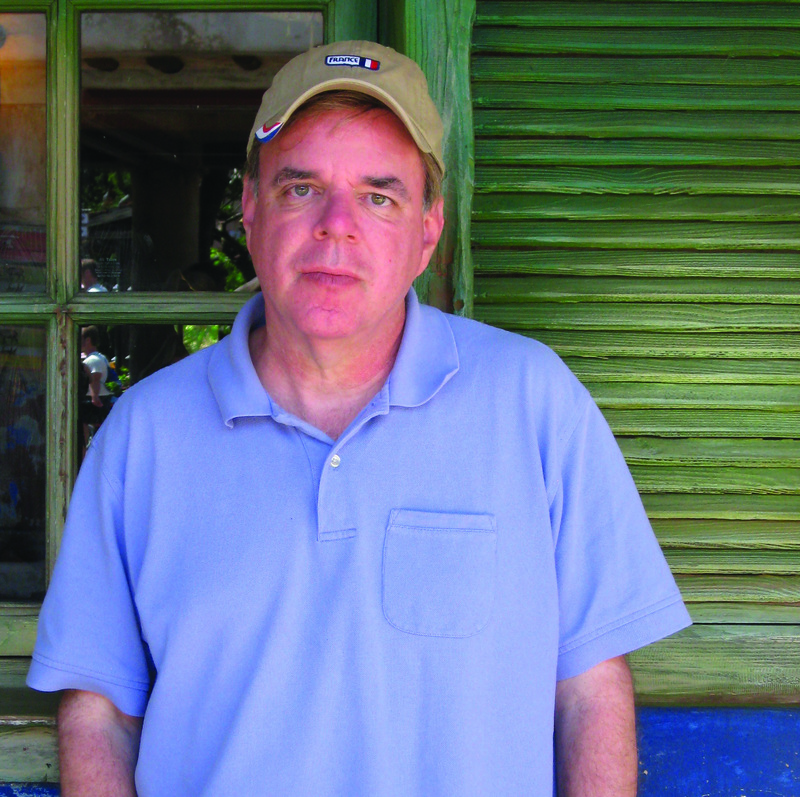 Journalist Jon Mallory, fed information by his brother Charles, is making waves with what he manages to get into print. Charles, who heads a private intelligence firm with a handful of skilled specialists, is determined to thwart this scheme. He presses to find out who is involved, how they communicate, where they are located, and what technologies and cadres of workers they have set in motion. Most importantly, he determine the time, location, and method of the virus’s release – and to stop it from happening. Second best: control the antidote. Charles is following up on some suspicions hinted at by his late father, whose plan of action included bringing Jon’s investigative and writing skills to bear. The Mallory men are a strange bunch: their relationships are strained yet respectful. One of the novels fascinations is seeing the process by which Charles and Jon collude at a distance that is both tactically necessary and true to the nature of their distinctive, contrasting personalities. James Lilliefors enhances our curiosity about each by alternating which brother is a chapter’s central consciousness . While we are waiting for them to undermine the grand scheme, we are also waiting for them to move closer together. Suspense builds as each man’s isolated story line is interrupted at a crucial juncture, held in abeyance until the other brother’s story line is developed further, and then continued. There is always some piece of knowledge just out of reach that once obtained only raises a new question. . . .
To read this review in its entirely as it appears in the April 25, 2012 issue of the Fort Myers Florida Weekly and the Naples edition for April 26, click here: Florida Weekly – Viral 1 and here: Florida Weekly – Viral 2. It also appears in the May 10, 2012 Palm Beach Gardens/Jupiter edition. Creative Nonfiction 2,500 word maximum. Submissions in this genre could include (but are not limited to) memoir, food or travel writing, personal essays, new journalism, biography, nonfiction stories, and nature writing. The emphasis in creative nonfiction is on factually true yet elegant literary expression. Flash Fiction 500 word maximum. $100 first place, $75 second, and $50 third. Honorable Mention may also be awarded. · Winners are published in the Seven Hills Review and receive one free copy. · $17 per entry for nonmembers; $12 per entry for members. No limit on number of entries. · Entries may be submitted through Submishmash.com. See www.twaonline.org for details and link to site. Were tarnished, but still visible. And tasted luster in decay. With jottings toward the absolute. Of hands the earth is set. Note: This poem, written on the occasion of the first Earth Day, found its way into print about 16 months later in the Autumn 1972 issue of Four Quarters, published by La Salle College (now University). Perhaps wisely, I never included it in any of my collections. What strikes me today, over 40 years after it was originally published, is how early I had developed the restrospective habit — in this case requiring me to look back 10 years. 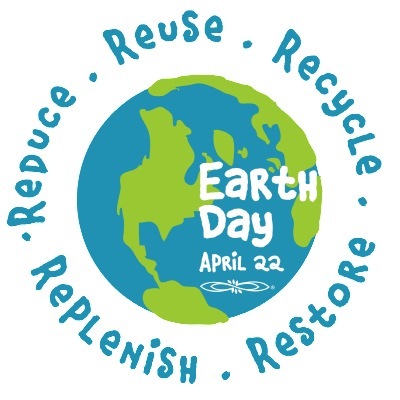 In any case, the inspiration of Earth Day still moves me. It’s important to be reminded of our responsibility of stewardship. Get outside, give thanks, and do something good for our planet. 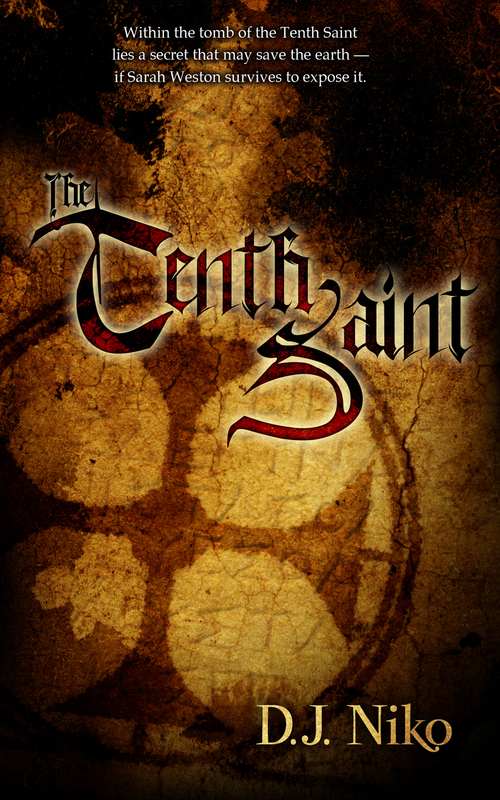 “The Tenth Saint,” by D. J. Niko. Medallion Press. 420 pages. $14.95. In her first novel, D. J. Niko establishes Sarah Weston as an appealing character who can easily be carried through the two additional novels already under contract. A fine addition to the growing genre of archeological thrillers, “The Tenth Saint” benefits from Niko’s persuasive handling of Sarah’s tenacious personality, the remote and exotic Ethiopian setting, conspiracy theories, and romance. Somewhat less persuasive is the time travel element, but that, too, remains at least intriguing. Born to wealth and privilege, Cambridge University archeologist Sarah Weston has long shed any debutante sensibilities she may have had. As she leads her research team in a remote mountain area, the ancient kingdom of Aksum, Sarah faces physical risk and hardship unflinchingly. Unexpectedly, she comes across a sealed tomb and unusual inscriptions. 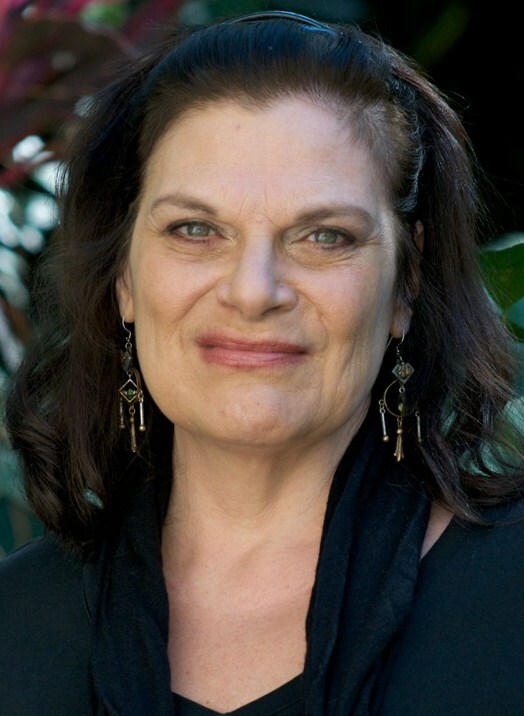 Assisted by American anthropologist Daniel Madigan, she strives to translate the inscriptions and identify the tomb – which is somehow connected with the Coptic Christians and their saintly mystics. The clues take them to Addis Ababa, monasteries in Lalibela (a holy city), and to an underground library housing a codex that is the key to the mysteries of the past – and possibly to those of the future. Ms. Niko’s narration alternates between the ongoing present that traces Sarah’s hazardous investigation and a remote past (4th century CE) in which an individual at first unidentified and suffering from amnesia is eventually revealed to be the tenth saint of Coptic tradition. He is a Caucasian westerner named Gabriel who has somehow turned up all but entombed under desert sands. Discovered and nursed to health by Bedouins, he becomes part of their community, mastering their medicinal lore. After five years, it becomes clear that he must move on to pursue his gradually revealed mission. The messages left behind by Gabriel – and echoed by a 14th-century letter which is given to Sarah in Paris – involve poetic prophecies of an apocalypse brought on by human endeavors. There are references, in particular, not only to climate change but also to dangerous initiatives to control its consequences. While some would wish the apocalyptic vision revealed, others would wish that it remain hidden. Powerful vested interests, including those of Sarah’s father, are at work. What Sarah and Daniel discover brings them many more enemies than friends. . . .
Imagining a Mississippi Delta area significantly transformed by decades of ferocious hurricanes, Moira Crone takes us to a realm of islands where immortals rule and the rest live lives of aspiration or rebellion in a caste-bound, static society. Who wouldn’t want to become an Heir, a medical marvel with a replaceable designer outer body (prodermis) that keeps one looking youthful and in style? Who wouldn’t want to join the power elite and control the resources of the 22nd century United Authority (UA), its various districts and protectorates? How much room is there for new Heirs when the existing ones are immortal? How powerful is the incentive to become one when the path requires so many years of subservience and discipline and medical transformation? When the system works no better than the moral compass of its leaders? 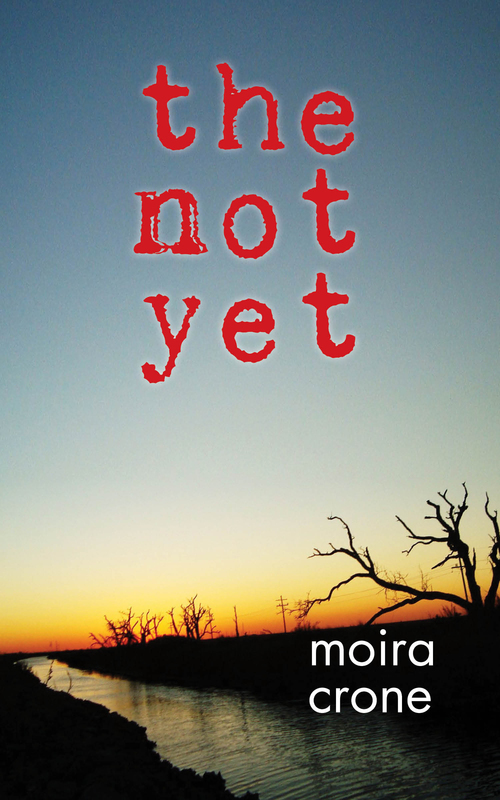 The novel’s protagonist and narrator, 20-year old Malcolm de Lazarus, is a Not Yet. He has spent much of his life as a performer for the amusement of the Heirs. As an orphan who has been selected for Heir status, he has now approached the boundary-time for his remaking. However, something is wrong: the Trust established to maintain him – hypothetically forever – has been compromised. He sets out to determine the facts and to discover if it’s possible to restore his Trust (at once faith and funds). Malcolm’s voyage, which moves both forward and backward (to the orphanage where he and others were raised), takes on a mythical feel while raising key philosophical questions about identity, loyalty, rules, and the limits of human wish fulfillment. What amazes about Moira Crone’s novel is not only the boldness of the premise, but also the startling minutiae of its execution. The Not Yet transports us to several distinct geo-political subdivisions of the UA, presents a wide range of crisply individualized characters that represent different classes, and conjures up over two centuries of imagined world history that leads up to the ongoing present of 2121. Crone extrapolates from today’s biomedical research to its fulfillment and application in the future. That said, there are some difficulties for readers to overcome. . . .
“Paydirt,” by Paul Levine. Createspace. 388 pages. $12.25. E-book $3.99. This thriller seems to be best-selling author Paul Levine’s first foray into putting out a new title as an e-book original (along with a print on demand option). Like many other successful authors of trade titles, Mr. Levine has seen the future and it is now. His wildly and widely popular Jake Lassiter series is being repackaged in e-book format at the same time that he goes marching further into the digital age with this new stand-alone title. Though Mr. Levine no longer lives in Miami, he has long been associated with it. It is a major setting in much of his work, including this latest effort as the home of the Super Bowl. The outcome of this season-ending football game largely decides the fate of his principal characters, in particular Bobby Gallagher. Bobby, the son-in-law of Dallas Mustangs owner Martin Kingsley, would seem to have it all. Married to beautiful, intelligent, caring Christine and father to a good-natured son who also happens to be a math genius, he would seem to be one lucky guy. The problem is that he has allowed himself to be corrupted by the sports industry he works for: an industry in which the pursuit of winning and wealth is out of control. As a lawyer for the Mustangs, Bobby’s job has been to successfully defend rapists and other lowlifes who happened to be key players on the team. Beginning with minor violations of responsible professional conduct, Bobby has slid down the slippery slope into a moral abyss. And it’s been eating away at him. He needs to change his life. As it turns out, moral leverage is no leverage at all – certainly not with his wife’s father, who is the epitome of criminal greed rooted in vanity and obsession. Since Christine is a daddy’s girl who has not allowed herself to perceive her father’s cruelty and corruption, Bobby can’t persuade her to join him in taking a stand. With no allies, Bobby’s scruples and his blundering attempts to right things cost him his job, his law license, his reputation, his marriage, and perhaps his parental rights. After leaving Dallas and moving to Miami, Bobby finds himself unemployable and crushingly depressed. An old friend gets him into the illegal bookie business, taking bets on sports competitions with a commission income. Bobby is rather inept at this endeavor, though his son’s mathematical wizardry is of some help. 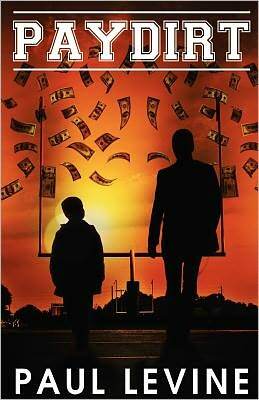 Bobby needs money, gets in debt to a mobster, and tries to find a bet he can win to pay off his life-threatening creditor and perhaps get even with his father-in-law. In pursuing his redemption, Bobby absorbs plenty of brutal beatings, both physically and psychologically. His ultimate goal is to somehow put his family back together again and rebuild his reputation. This involves exposing Martin and forcing Christine to see the true character of Craig Stringer. 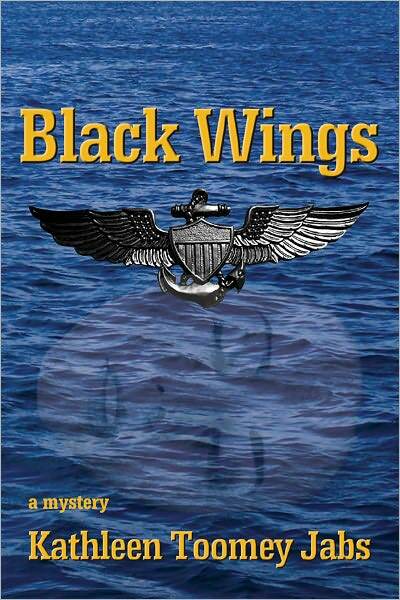 Stringer, the Mustangs’ superstar quarterback, is a thoughtless womanizer who longs to be a Mustangs’ executive when his playing days are over. . . .
Black Wings, by Kathleen Toomey Jabs. Fuze Publishing. 314 pages. $19.95. Did young and gorgeous hotshot Navy flyer Audrey Richards crash her plane through incompetence, or was her flight sabotaged – either mechanically or psychologically – by jealous, zealous male rivals in the Naval Air community? Whatever the official story, her former Naval Academy roommate, LT Bridget Donovan, feels compelled to find the truth. Donovan, from her junior post in the Navy’s public relations establishment, has to get the story out – to handle the media. However, she senses that the Navy’s story might not be the real story. How does she walk the line between doing her job in an institution wrapped in bureaucracy and legalisms and doing honor to the memory of the classmate with whom she had an uneasy friendship? 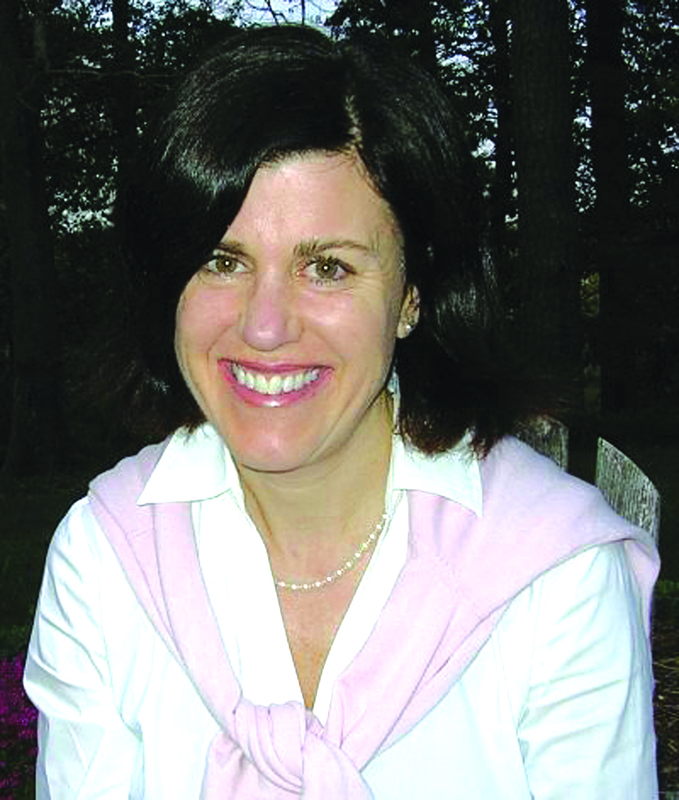 Ms. Jabs organizes her narrative into alternating chapters that develop two timelines. One follows a few weeks in the early fall of 2003. It takes us from the news of LT Richards’ disastrous take-off from an aircraft carrier, traces Donovan’s troubled pursuit of both military duty and personal redemption, and tests her honor and courage as she positions herself more and more in harm’s way. The other timeline covers the two women’s years at the Naval Academy from Plebe Summer of 1986 through graduation in May of 2000. These chapters offer a splendidly detailed representation of Naval Academy life from the perspective of female midshipmen, always a highly visible minority in a world of male traditions. Readers discover how a super-driven character like Richards can at one and the same time irritate her classmates and push them to unexpected achievement. Donovan knows that Richards’ encouragement and example allowed an insecure, faltering plebe (Donovan herself) to hang in there, improve, and make it through with some degree of distinction. “Onward and upward” was Richards’ cry at each and every obstacle to be overcome. But how many did she step on as she climbed (before she flew) onward and upward? Super-achiever Audrey Richards was a show-off. She wanted to be noticed. She wanted to be tested. She would not be intimidated or fail. Within and without the walls of Bancroft Hall, that immense dormitory in which all midshipmen live, there was much to intimidate her. Some of it was institutional – the same kind of pressure and humiliation that all midshipmen have to deal with. Some was cultural – the special kinds of intimidation reserved for women, considered aliens by many male classmates. Some was directed at a special few by a special few. A secret cadre of midshipman and officers took it upon themselves to determine whose careers were to be blocked through severe intimidation and psychological warfare. Those targets would find black wings in their closets, wrapped in their clothing, sliding out of their homework. These symbolic threats were only the most obvious means of booby-trapping the environment in order to cripple the performance of the alleged misfits. Audrey Richards, who could out-pushup the men while making them drool over her stunning beauty, was a target relentlessly pursued. . . . Hiding in the Spotlight, by Greg Dawson. Pegasus Books. 296 pages. $25 hardcover, $15.95 paperback. Though this book has been out for a couple of years, it deserves a larger readership than it has so far gained. It has all the ingredients of a compelling story: hardship, near catastrophe, ingenuity, perseverance, commitment, and good fortune. 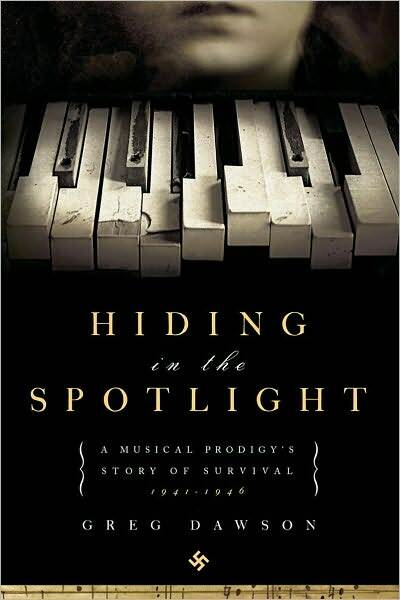 Its subtitle, “A Musical Prodigy’s Story of Survival, 1941-1946,” only hints at the tension in this amazing Holocaust narrative. The subject of Hiding in the Spotlight is Zhanna Arshanskaya Dawson, born in Ukraine in 1927 into an essentially secular Jewish family. The author is her son. Early in their lives, Zhanna and her younger sister, Frina, were discovered by their father Dmitri, himself a musician, to have promising abilities. He managed to obtain for them all of the training available in their small town, then moved the family to the metropolis of Kharkov where the girls excelled at the prestigious Kharkov Conservatory. The prodigious young pianists were celebrities. Though Ukrainian anti-Semitism surrounded them, it had no pronounced effect on their lives until further inflamed by the Nazi infection that would soon emerge. As WWII exploded, Hitler’s purge of the Jews in the Ukraine put the family on the run. Though Dmitri could not save himself, his parents or his wife, he did managed an escape for his daughters through bribery. Now young adolescents, Zhanna and Frina take new (non-Jewish) identities as Anna and Marina Morozova and look to be sheltered in an orphanage. They maintain a simple, but effective, cover story about their parentage and circumstances. In bringing his story to this point, Greg Dawson skillfully sets the narrative of his mother’s memories against a tapestry of history, particularly the shifting borders and alliances of Eastern Europe during the early 20th century. Once Zhanna’s story falls within the story of Hitler’s confrontation with Russia and its largest sister Soviet Republic (Ukraine), Mr. Dawson’s balancing act becomes more difficult. He keeps the story of his mother and aunt in the sharpest focus. The two young ladies are wanderers in a war-torn environment. Shelter, clothing, sustenance are their needs, as well as maintaining the secrecy of their new identities. By chance, a Nazi officer happens to hear Zhanna playing Chopin in the town where his battalion is stationed. Before long, she and Frina join a troop of performers charged with entertaining Nazi soldiers. Later, they perform at labor camps. They are immensely popular, but always fearful. They are, indeed, “Hidden in the Spotlight.” This part of Zhanna’s story goes on, with many ups and downs, for five years until war’s end. The horrifying details are difficult reading, but very effectively presented. After the formal resolutions of WWII, a major effort is made to resettle, possibly repatriate, refugees. Involved in these efforts is a man named Larry Dawson, an American who saw no combat but managed to find a way of helping his country and the war’s victims by working with refugees in Europe. It is with Larry Dawson’s over-the-top commitment to help the sisters find a new footing in life and, especially, to help them resume their piano studies, that their lives take on a new direction. Though Zhanna had dreams of returning to Kharkov, Frina did not. Soon enough, Zhanna realized that her idealized vision of a life “back home” after the war was impossible. Under Larry’s spell, they allowed themselves to be sent to live with his family in rural Virginia and awaited Larry’s own return from his duties. Upon that return, Larry was quick to act on his obsessional interest in the girls’ careers. His efforts led to them being accepted first at the Peabody Conservatory in Baltimore and then at Juilliard in New York – his ultimate goal. Along the way, a relationship developed between Zhanna and Larry’s younger brother, David Dawson. 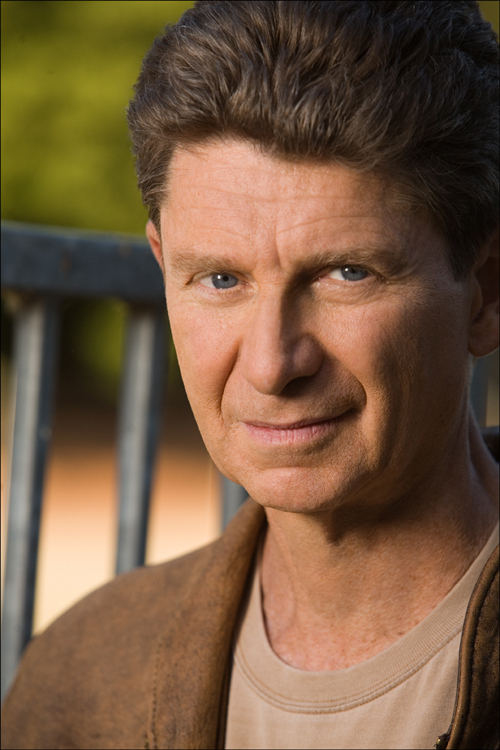 David was, of all things, a successful professional musician and Juilliard alumnus. In time, Zhanna became his wife. Both sisters had careers as performers and as teachers in university music departments. Though for decades they did not speak of their experiences before and during the war, not even to one another, the time came when Zhanna was ready to open up. 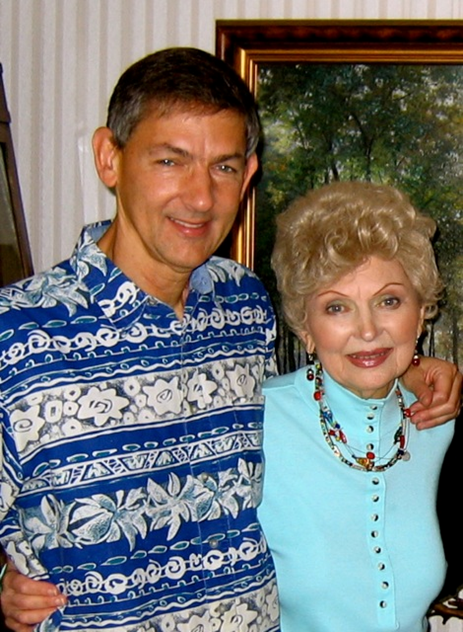 Fortunately, she had a professional writer in the family, her son Greg, to whom she could tell the tale. This review appears in the April 2012 issues of the Federation Star (Jewish Federation of Collier County), L’Chayim (Jewish Federation of Lee and Charlotte counties), and The Jewish News (Jewish Federation of Sarasota/Manatee). Greg Dawson lives in Orlando, FL.